Medical Program: Immune Cells: Are They the Key to Better Allergy and Infection Therapies? Immune Cells: Are They the Key to Better Allergy and Infection Therapies? Dr. Avery August talks about the molecular and fundamental mechanisms behind allergic reactions and autoimmunity. 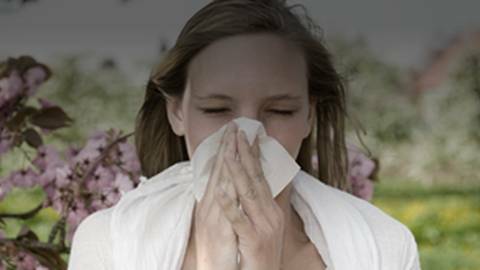 Allergies occur when your immune system mistakes a normally harmless allergen for a dangerous invader and moves to destroy it, producing an allergic reaction. What exactly causes this response, and what are the best treatments to combat it? Host Brian McDonough chats with Dr. Avery August, Professor of Microbiology and Immunology at Cornell’s College of Veterinary Medicine, about his research regarding how allergens affect the immune system.